Head lice are unfortunately a fact of life, especially if you have kids at school. These irritating parasites are passed between people via direct head-to-head contact or from combs, brushes, and other items that carry louse eggs (nits). One effective and easy method of treating lice is to use a good-quality lice shampoo. Unlike some other lice treatments, lice shampoo is used as a wash; you simply lather the product, massage it through the hair, allow it to sit for a few minutes, and then rinse it out. Shampoo is often easier to use when treating kids because the process is simple and relatively quick. Also, if you use a shampoo that kills nits as well as adult lice, there’s often no need to use a nit comb to remove the nits. That can be excellent news for parents whose kids refuse to tolerate a nit comb or won’t sit still long enough for you to use one. But with so many lice shampoos out there, how do you know which one to choose? In our Buyers’ Guide, we’ll review five of the very best lice shampoos that are currently on the market. And we’ll give you some practical advice on how to use the shampoo you’ve chosen to get the best possible results. We’ve picked out these lice shampoos because they’re reviewed as very effective by people who have used them. Lice shampoo varies somewhat in price between brands, and the most expensive is not necessarily the best. Schooltime Shampoo is a kid-friendly product that also contains oils and conditioners to give the hair a healthy shine, as well as getting rid of lice. Lice bites can be very irritating to the scalp, encouraging scratching and allowing an infection to develop. This shampoo is formulated to soothe the scalp irritation that lice bites can cause. All in One Pesticide Free 15 Minute Application in a Family Sized Bottle ( up to 6-9 uses per bottle). Clinically Tested in 3 Countries, Hypoallergenic & Safe for Hair, Skin and Eyes. RID is one of the most popular and well-known brands of lice-killing products. We’ve put this kit in our Guide because it contains everything you’ll need to get rid of lice for good, including a bottle of RID’s famous lice shampoo. AMERICA'S #1 LICE BRAND: For more than 10 years RID Lice Killing Shampoo has been an effective treatment for killing lice and lice eggs. 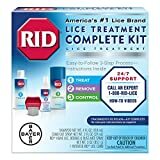 KIT CONTAINS: one (1) 4-ounce bottle RID Lice Killing Shampoo, one (1) 2-ounce bottle RID Lice & Egg Comb-Out Spray, one (1) RID lice comb and one (1) 3-ounce can Home Lice, Bed Bug & Dust Mite Spray. The product contains toxic pesticide. You may need to use more than one treatment to be completely lice-free. This lice shampoo is safe to use for kids over the age of two. It’s gentle enough for daily use and contains no toxic chemicals or pesticides. The plant-based product includes the brand’s powerful proprietary enzyme blend, proven to kill adult lice and nits on contact. The product has to be left on the hair and scalp for 15 minutes, which could be a problem with very young kids. Needs repeated use to completely eradicate lice and for ten days after the final treatment. 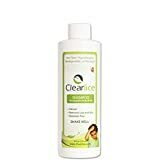 ClearLice shampoo works by destroying the hard shells of both the adult lice and nits, killing them instantly. It also works by loosening the glue that sticks the nits to your hair. Once you’ve got rid of the head lice, you want to prevent them from coming back. This all-natural lice prevention shampoo is one of Amazon’s best-selling products in the lice control niche. And according to most users, it certainly works. 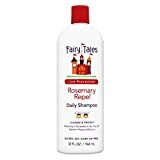 Fairy Tales isn’t the cheapest shampoo on the market, but the expense is undoubtedly worth it to be nit-free for good! Leak Proof Seal - Prevents leaks even during heavy activity - such as camping or roadtripping. Some users have complained that the product did not prevent their kids from getting lice. Some online purchasers found that the bottle had come unscrewed in transit, spilling most of the product. It’s true to say that not all lice shampoos are as effective as others. So, why so, and what qualities should you look for in an effective lice shampoo. Do you need a comb? Some shampoos kill adult lice, but you have to remove the nits (lice eggs) with a special nit comb after shampooing. If you choose one of these shampoos, look to see if a nit comb is included. If not, you’ll have to buy one. If a comb is included with the shampoo, look for a metal one. Plastic combs are fragile and tend to break easily, especially if you have very thick or curly hair. In a nutshell, you should factor in the extra cost of a nit comb if one is not included with the shampoo. What ingredients are included in the shampoo? Many parents are reluctant to use shampoos that contain toxic pesticides on their children. Although these chemicals will kill lice and nits, they can also irritate sensitive scalps, especially if used on very young kids. Common pesticides that are routinely used in lice shampoos include pyrethrins and pyrethroids. These chemicals are thought of as being rather old-school, but they undoubtedly do work. In many cases, a shampoo containing chemical pesticides will only need one use to be fully effective. If you don’t want to use a pesticide-based shampoo, you may prefer to use a product that includes only natural ingredients and essential oils. For example, rosemary extract is proven to kill lice. Note that natural lice shampoos will require more washes to be effective, and “green” shampoos do tend to be more expensive than traditional chemical-based ones. There are a couple of ways of using your lice shampoo, both of which work well. Whichever method you use, always read the manufacturer’s directions on the packaging before you start. The first method of using head lice shampoo is called the “wash and soak” method. Start by wetting your hair with clean, warm water. Don’t use any shampoo, conditioner, or other hair products beforehand. That’s because conditioner can affect the ingredients in lice shampoo, rendering the product much less effective. Next, place a dollop of lice shampoo in your hand, mix in a small amount of warm water, and work the shampoo into a lather. Massage the lather through your hair, paying particular attention to your scalp. If you have very thick or very curly hair, you might need to spend some time on this process. Note that most lice shampoos need to be left in your hair for at least 10 to 15 minutes to allow the ingredients to fully penetrate the hair and reach all the lice, nymphs, and nits. Once the required time has elapsed, thoroughly rinse the lice shampoo out of your hair. Pat your hair dry with a clean towel to absorb excess water and allow it to dry naturally. If you experience a tingling or burning sensation on your scalp, rinse the shampoo out straight away. An adverse reaction could indicate that you have an allergy to certain ingredients in the product. The second effective method for using lice shampoo is called the “comb and remove” technique. The comb and remove method is used with lice shampoos that require you to use a nit comb, not just washing and rinsing. If you’re treating yourself, you’ll need someone to help you. Start by wetting your hair thoroughly with clean, warm water. Take some of the shampoo and work it into a lather in your hands. Work the lather through your hair and into your scalp. You’ll need your assistant for the next stage of the process. Lean over the sink or lay out some paper kitchen towel and tip your head forwards over it. Ask your helper to tease your hair apart into small sections carefully, and then slowly run the nit comb through the hair. Be sure to work from the roots of the hair to the ends so that the dead nits and adult lice drop out. Once you’ve worked through all the hair, rinse the product out and allow your hair to dry naturally. Many lice shampoos need to be used several times over a short period to be fully effective, so always check the maker’s instructions for the product you’ve chosen. In this section of our guide, we answer some of the most commonly asked questions about lice shampoos. If you can’t see the information you need, just shoot us an email, and we’ll do our best to answer your query. Q: Can lice carry diseases? A: No. Head lice do not carry diseases. However, the bites can cause irritation and itching. If you scratch the bites and break the skin, bacteria could enter, resulting in an infection. Q: Can I prevent head lice? A: Obviously, you can’t wrap your kids in cotton wool, but you can take measures to keep lice at bay. Children with long hair should wear it braided or in a bun. Cover the hair with gel, mousse, or hairspray. Hair products like these create a protective coating over the hair, making it much harder for the lice to stick to the hair shaft. To prevent the transfer of nits, you should tell your kids not to share hoodies, hats, or hair brushes with their friends. Q: If anyone in my family gets lice, will I need to disinfect my house? A: No. Head lice can only live when they are on their host. As long as you treat the affected person with an effective lice-killing product, you’ll kill the parasites. So, there’s no need to vacuum and bag everything or boil-wash your bedding. Q: How do I know I’ve got head lice? A: The first signs of head lice are usually itching or the sensation that something is crawling in your hair. Lice are tiny and almost impossible to see with the naked eye, so it’s easier to look for nits instead. Nits can usually be viewed by shining a bright light on the roots of the hair. Nits will appear as tiny translucent specs, clinging to the hair shaft. Lice are nuisance parasites that commonly affect children. Unfortunately, adults aren’t immune, and it’s all too easy to catch lice from your kids! The five lice shampoo products we’ve featured in this Guide are some of the most effective on the market. We particularly like the Schooltime shampoo. It’s very effective, it’s hypoallergenic and pesticide-free, and it represents great value for money as you get between six and nine applications per bottle. If you still have a problem with lice after using your chosen shampoo, it’s a good idea to ask your GP for advice; there are stronger pesticide preparations that are only available on prescription from a medical health professional.